Well i still don't have any gameplay, because the random generation took me a lot of time. 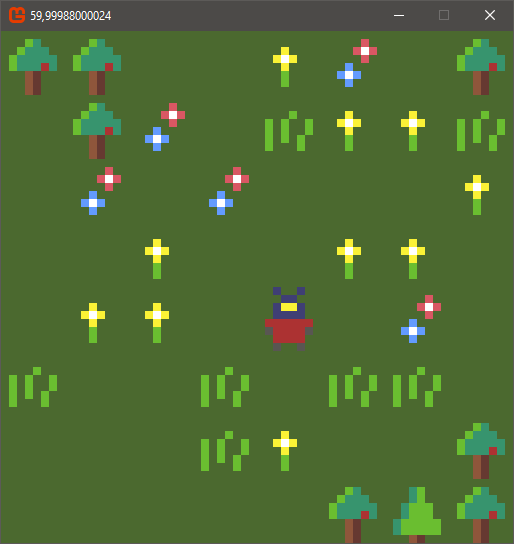 This example is actually planed to be a dungeon/cave, but i took the grass/forest sprites I already had. 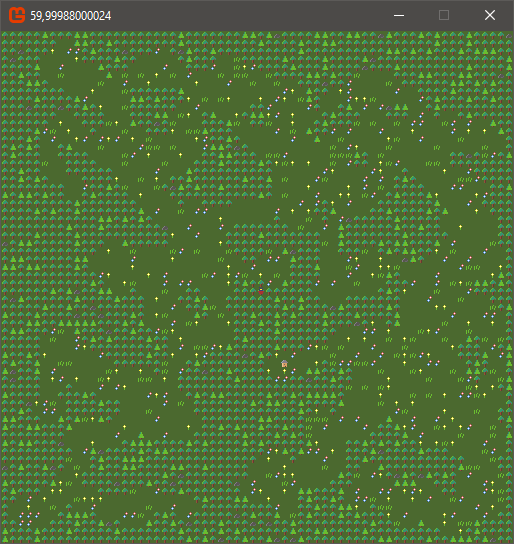 I could use the same algorithm for a forest overworld by changing some parameters a little. Next is some gameplay. I will implement enemies and the fights first. I also have to spawn some interessting stuff on the map, but that should not be too much work.